On September 13th, the Annual General Meeting (AGM) took place. 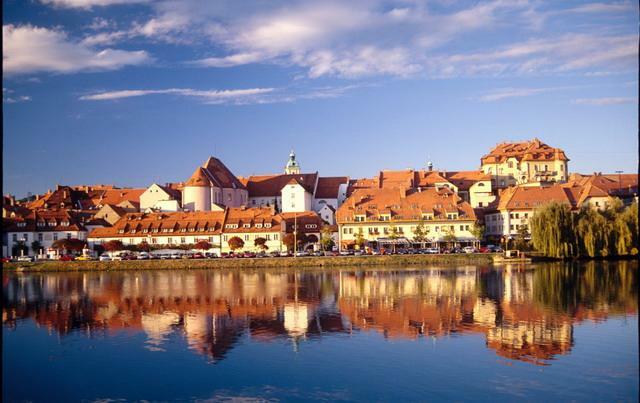 This time in European Capital of Culture 2012, Maribor. Members took note of the financial reports and no issues were raised about them. Members of ASCE voted about the important changes of the old ASCE charter. Due to changes in Italian legislation in 2009, we had to make minor expressive changes which do not change the content or meaning of the charter. Changes were accepted with 100% of present members voting for the changes. Secretariat will submit the new charter to Italian authorities. Mr. Yvan Corbat presented the EUCEMET project, its history, current status and further activities. The complete presentation of the project is avaliable for download on this link. 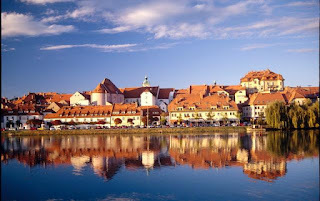 Within project, 3 very important results are being achieved: photo exhibition (with opening ceremony that was held during AGM in Maribor), Augmented Reality Browser application which was presented during AGM and Q&A guides which will be presented at the next AGM. 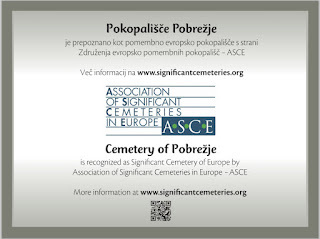 All the details will be presented at the ASCE website. President Lidija Pliberšek briefed the members about the current status of Cemeteries route project, which is currently managed by outsurced company. Since it was not managed by the expectations of the members in the past year, further developments are being planned that will be introduced to all members. Steering Committee delegated president Lidija Pliberšek and Martin Ernerth to meet with current route managers and arrange future steps and developments. 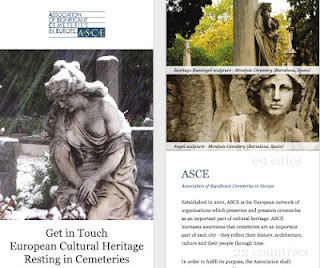 This year, hundreds of events took place all over Europe in the Week of discovering European Cemeteries (WDEC). We have tried to gather them in the event calendar. All the events we have gathered are also presented in this PDF file. ASCE flyer may be used in any quantaties. Arrange your own printing after you download the flyer at this link. Also avaliable in simmilar design is the ASCE banner. ASCE Insignia may be used as according to the Insignia rules, set by steering committee of ASCE. Any member who wishes to use the insignia, must ask the secretariat to receive the files necessary to use it. AGM 2012 ended with presentations of the new members (Westerveld, A Coruña, Alcoy) and invitation to the next AGM 2013 in Netherlands.